As we’re digging out and cleaning up after a pretty hairy weekend it’s natural as leaders, chefs and hospitality providers that we focus on getting our operations back up and running. It’s easy to get sucked down the rabbit hole of apprehension and the unknown if we look up for a second and try to process it all. We have to keep our heads in the game and keep ourselves and our teams from wigging out. It got drilled into me early on and to this day I believe my number one job is taking care of my team. If I take care of them, they take care of the guests, we all take care of each other, right? I’m sure it’s the same for many of us, but my head is swimming with an ocean of things to do and to be done. If I let it, I’ll just get overwhelmed and not get much of anything accomplished, or help anyone. So that said, I’m just going to wade in (too soon, I know) or at least bite off something I can chew and get going. Here is a list of links you or someone you know, love or work with may find useful. American Red Cross of the Palmetto SC Region can be reached at 843-764-2323. If someone you know is without immediate shelter, they are offering multiple shelter, food, health and mental health services, at least in the interim. A good option to keep people fed and housed as our community gets back up to speed. Another great resource for immediate needs is Trident United Way. While the flood recovery site can be found by clicking on the hyper-link to the left, honestly the best way to reach them directly is by dialing 211. I did so with the urge to see what type of assistance they were offering and found that they are working in concert with other organizations, and that their benefits are offered all over the state. Anyone in need of non-emergency assistance or with an interest in volunteering with recovery efforts can call. The service offers supportive listening, crisis intervention and up-to-date information about access to community resources. The Salvation Army is operating statewide to provide relief for flood victims. They appear to have a big operational focus in the midlands- Columbia, Sumter, Orangeburg, and in the Pee-Dee / Georgetown area. You can call them direct at 843-763-9881 and they will steer you towards available resources. FEMA can be reached 7am-10pm at 1-800-621-FEMA(3362) or 1-800-462-7585 (TTY) for the hearing and speech impaired. On the SC Flood page, you will find multiple resources, including a link to http://www.disasterassistance.gov/, which can also be reached by direct dialing 1-800-621-FEMA (3362). Early registration for losses is open, so get up and get going!. If you are aware of any other available resources for immediate assistance, please post in the comments below and I’ll get the information up and posted. Take care of your teams, take care of each other. 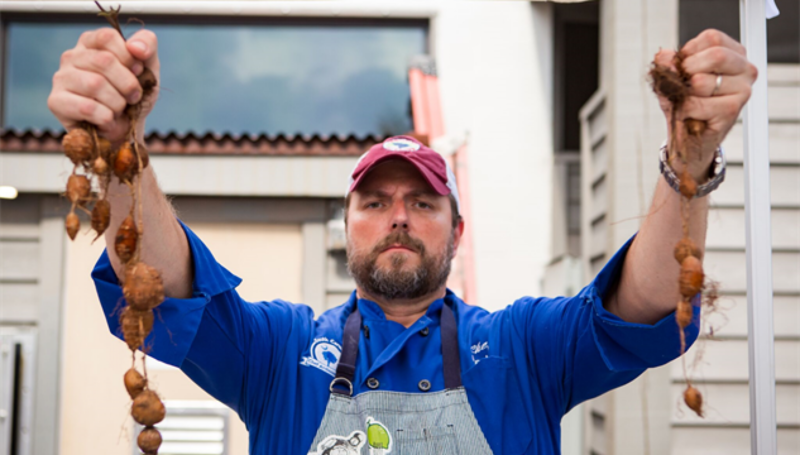 Previous PostPrevious Aquapacolypse – Charleston Restaurant Closures Continue!